SR-RU1301 beauty instrument has Skin scrubber,ultrasonic,BIO-skin lift,Brushing,High frequency,Cold & hot hammer functions. Each function has a separated switch, easy and simple to handle. Overcome the defect of traditional multifunctional instrument that with one function break down, all the others could not be used. The machine is with generous, elegant and portable design. Clean the cuticle and the dirt in the pore, smooth the wrinkle, whiten the skin and restore the elasticity. Can effectively restrain the decline of cell apoptosis. 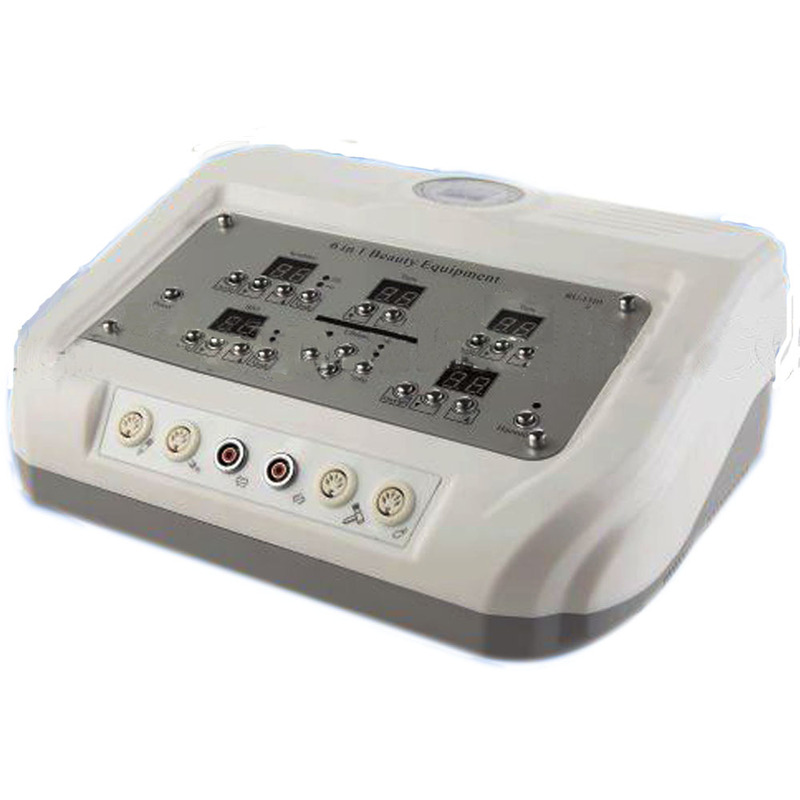 The micro electric current resonate with the bioelectricity, stimulate the cell activation, so as to improve metabolism, restore elasticity and activity of skin. A derivative instrument of medical instrument, safe and reliable. Cold hammer has cold compress function, tighten the skin texture, anti-wrinkle. Hot hammer could activate the cells, accelerate blood circulation and lymphocinesia, ease the pain and heal arthritis.